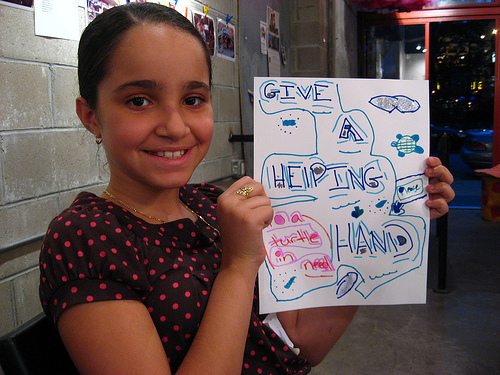 We had a raucous good time at our first ever event with The Lower East Side Girls Club! We split the party of about 20 girls and eight artists into three stations: mask making, Halloween cards, and Turtle comic books (to raise money for the LESGC’s wounded turtle). A million thanks to Ray Alma, Amber Alvarez, Jane Archer, Julia Durgee, Rami Efal, Nina Frenkel, Lewis Matheney and Elizabeth Winter!